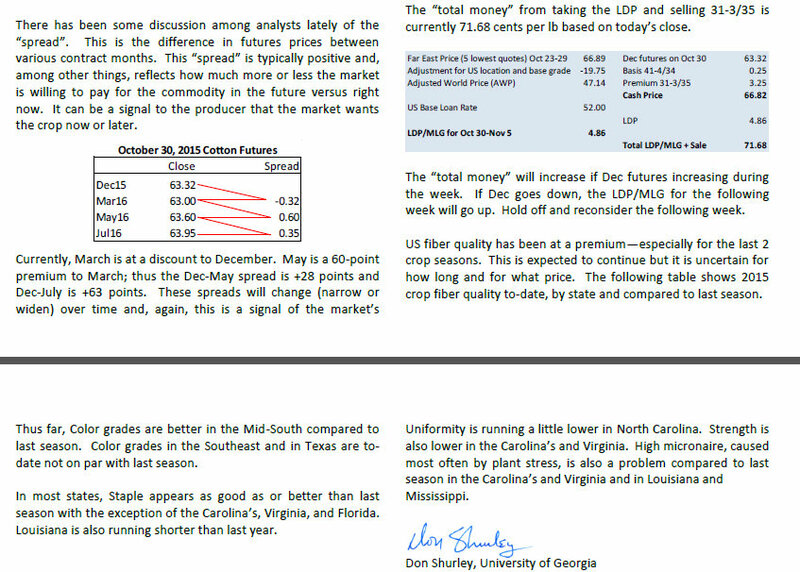 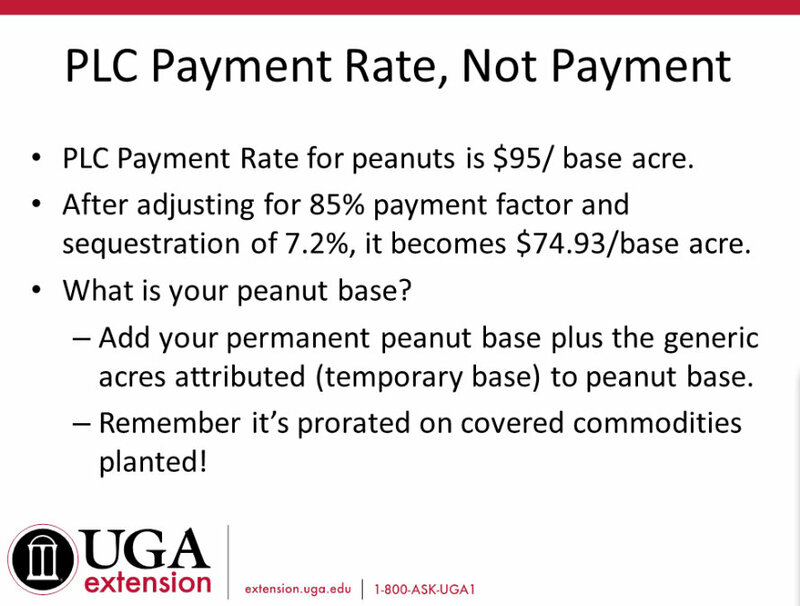 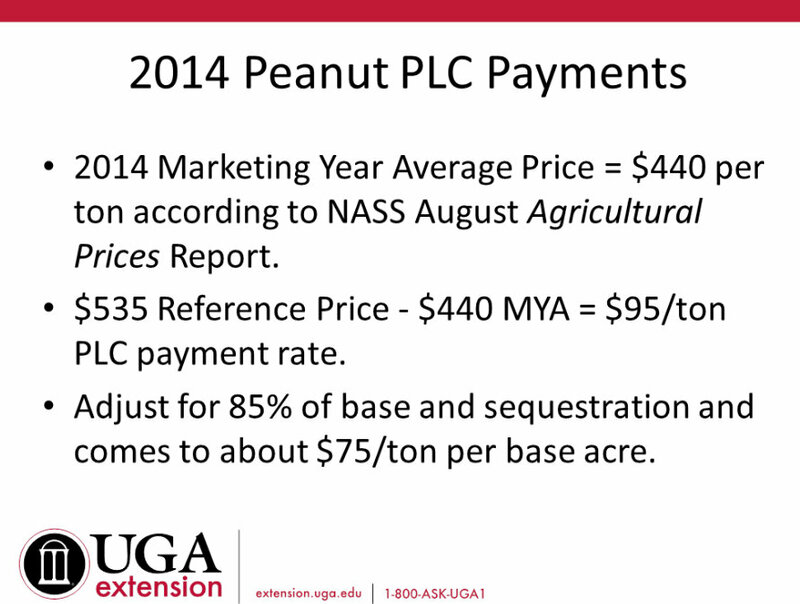 Dr. Nathan Smith, UGA Ag Economist explains what we should look for in PLC payments coming up. 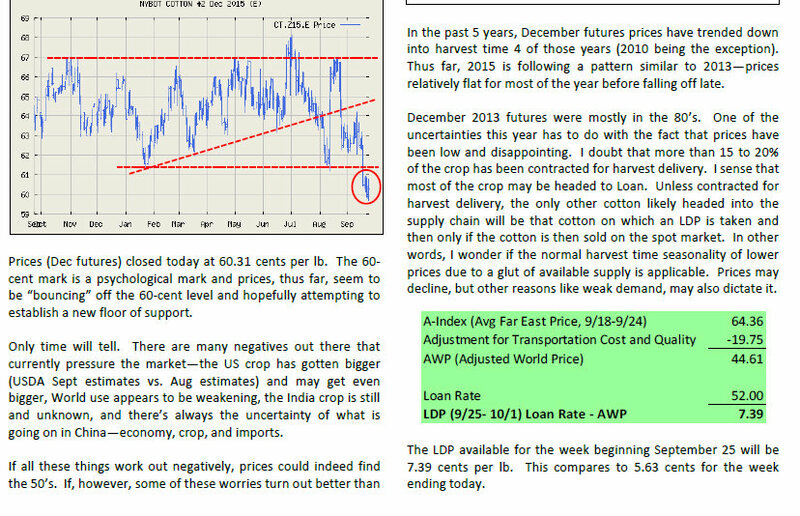 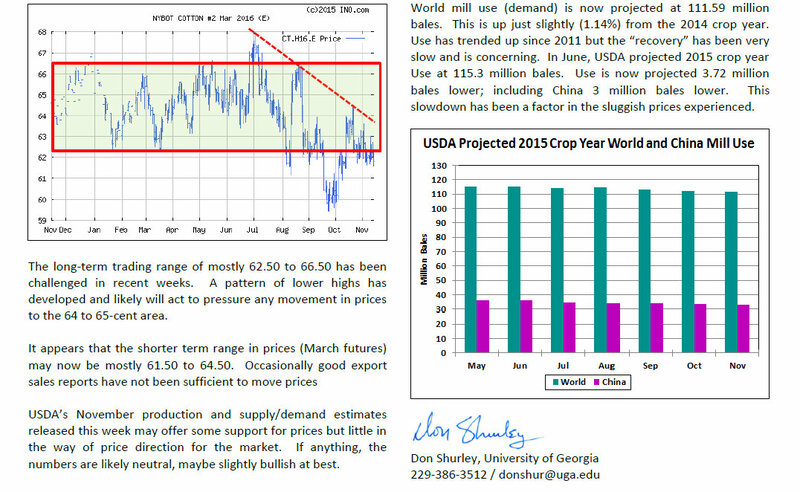 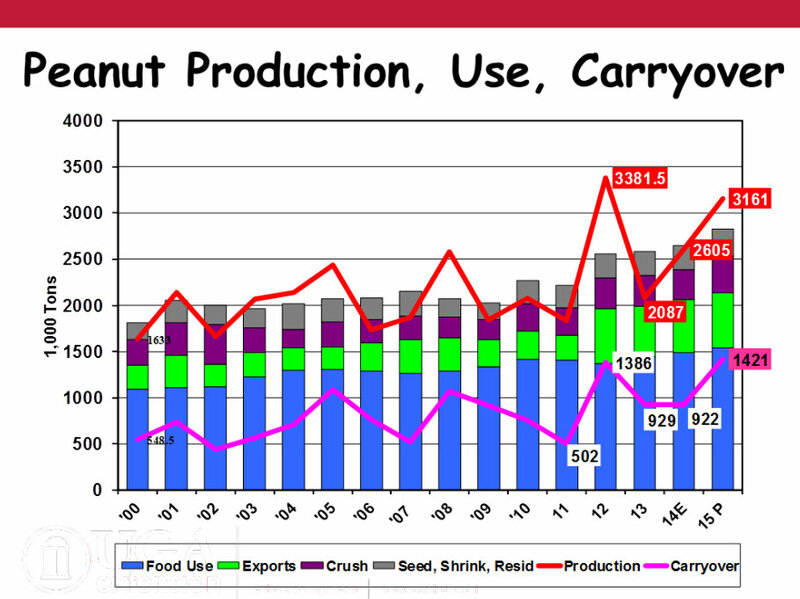 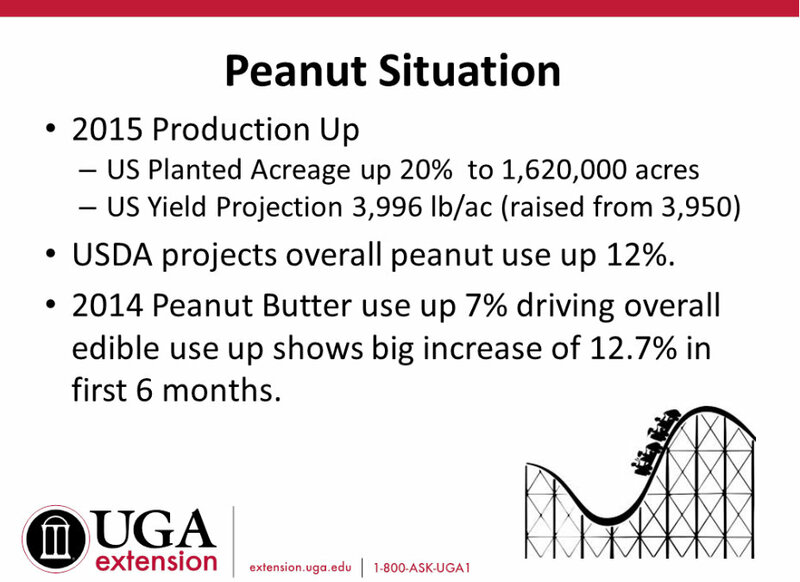 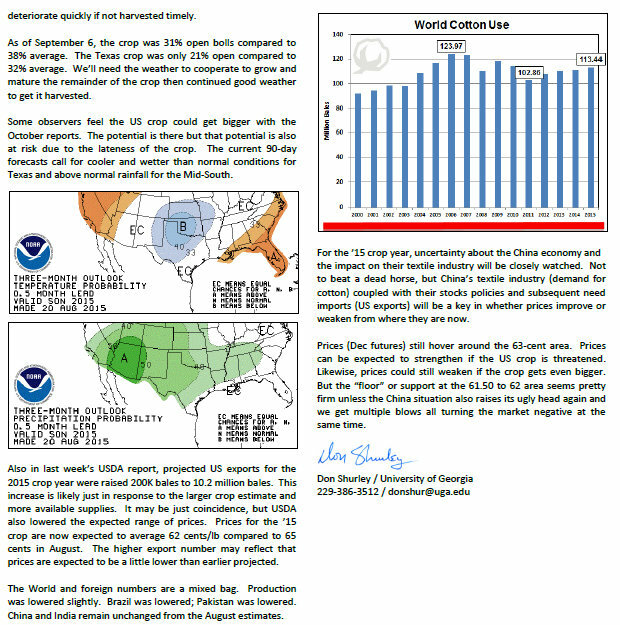 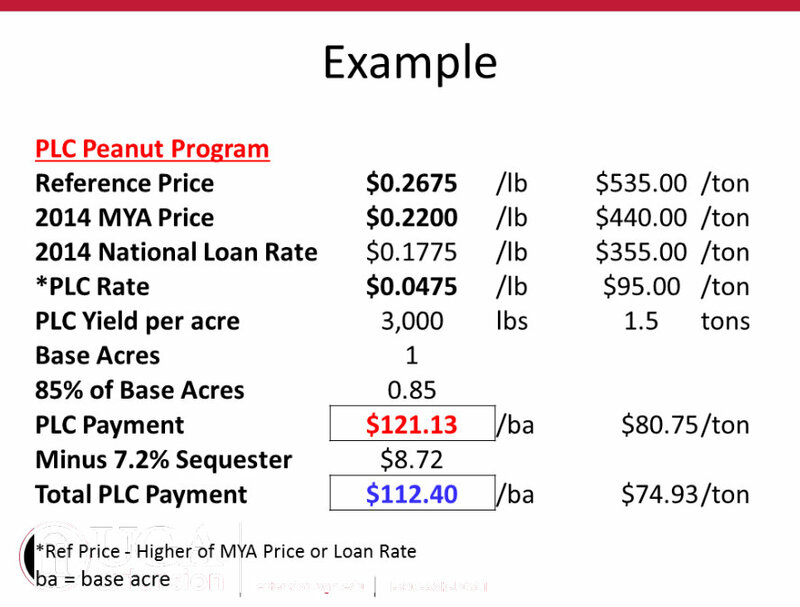 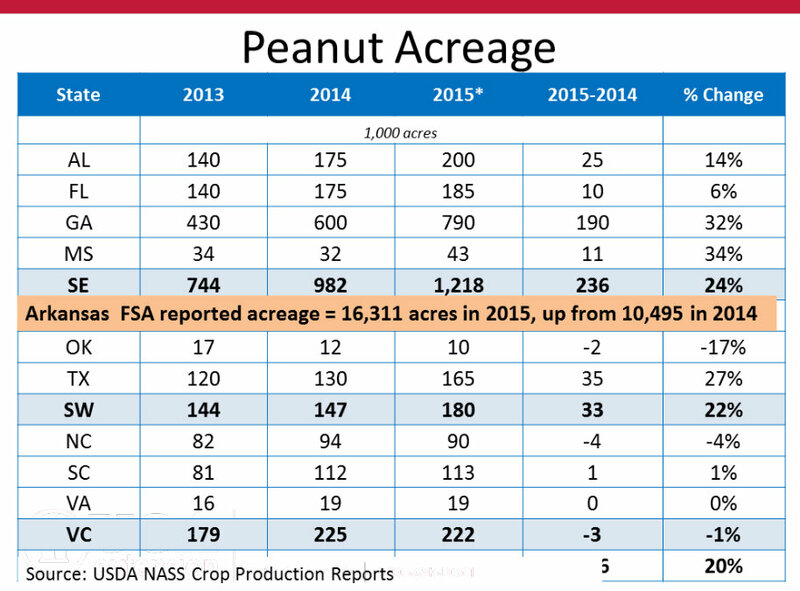 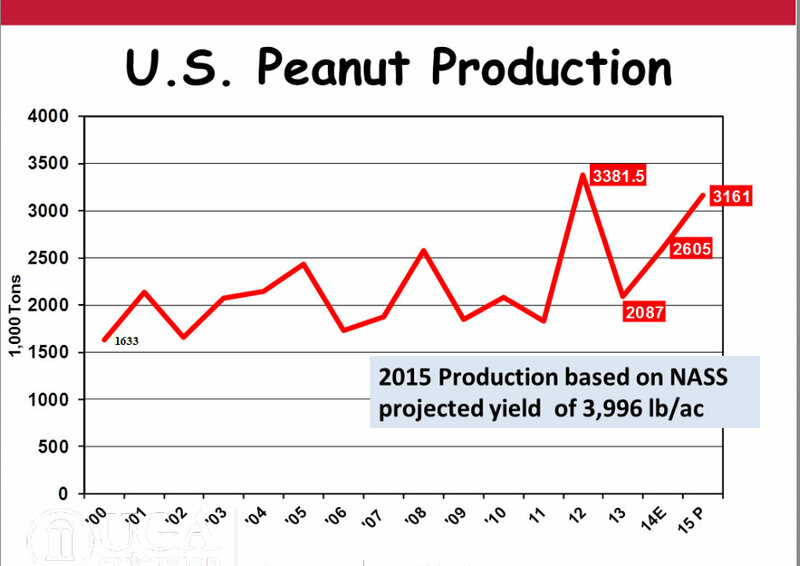 Thanks to Dr. Nathan Smith, UGA Ag Economist for these informative slides concerning Peanuts. 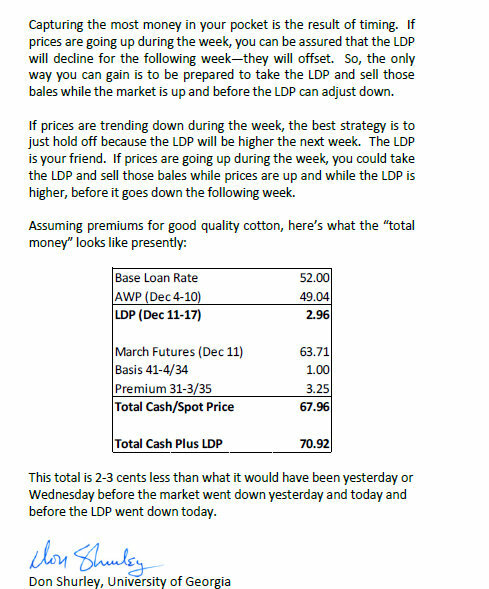 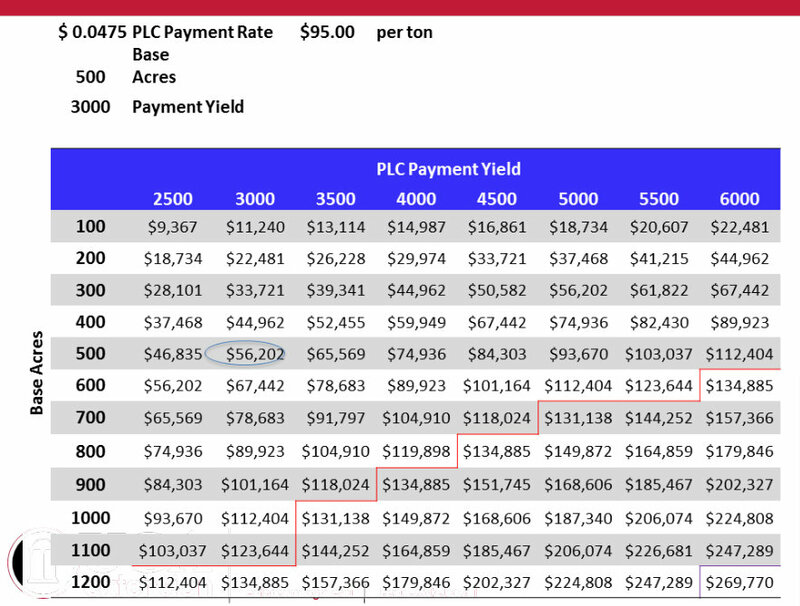 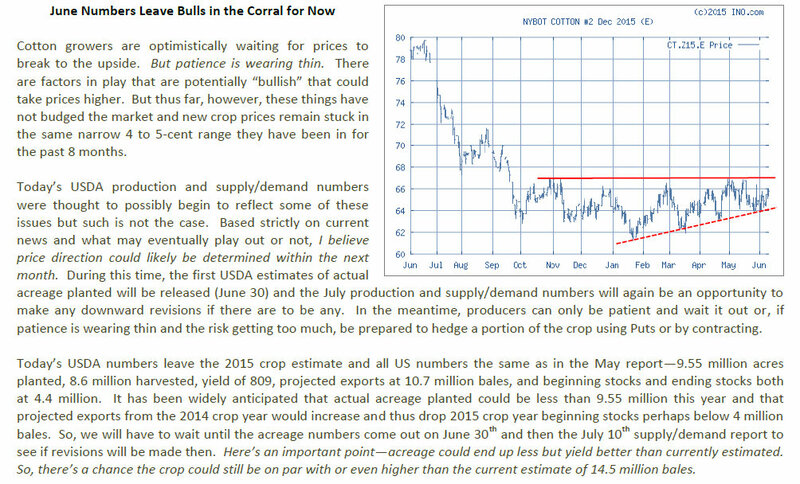 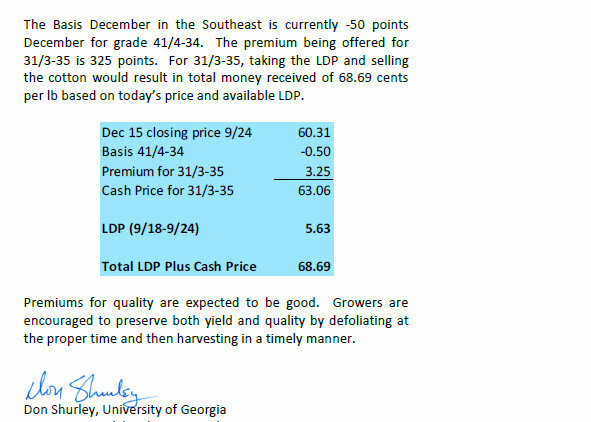 Growers have been offered $400 contracts for 2015 and there has been some interest from growers at this price. 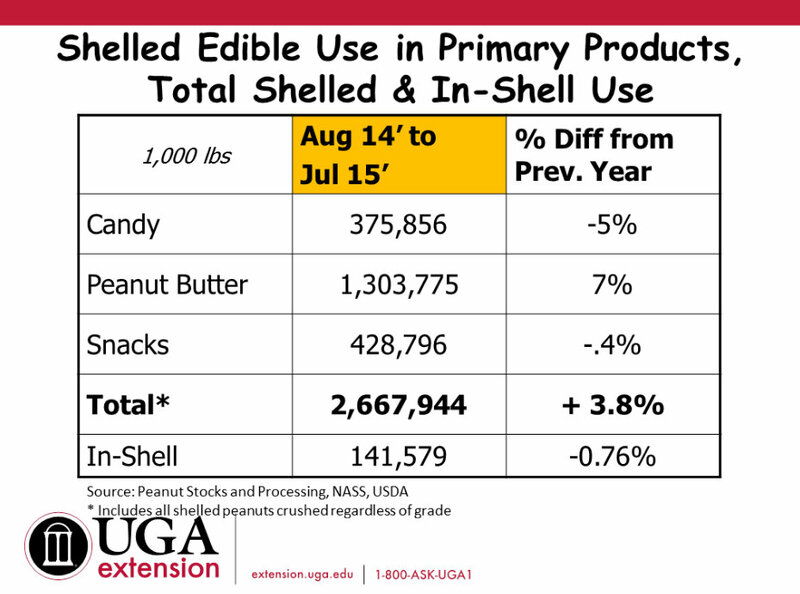 Shelled prices are in the high 40 cents range. 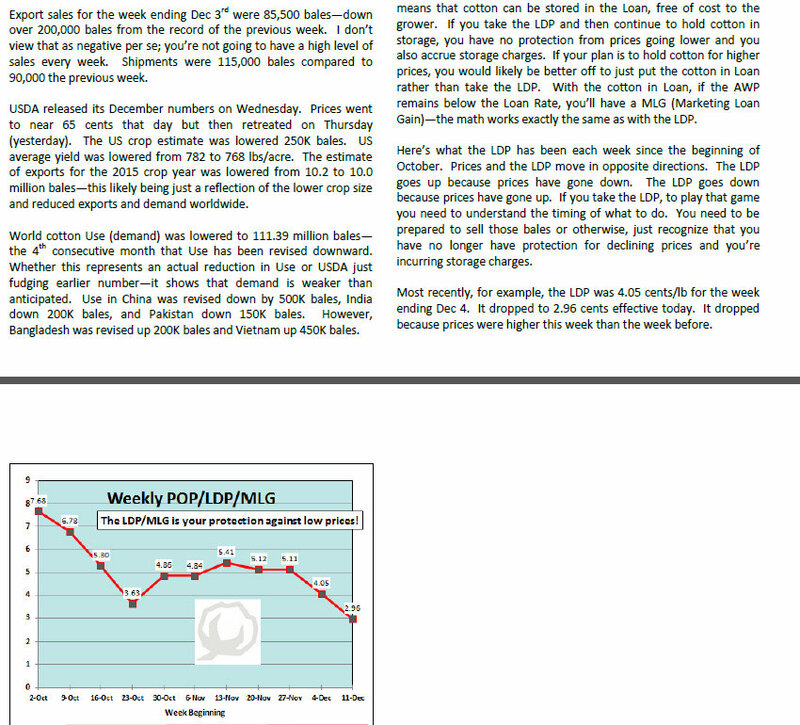 The large carryover stocks will keep a lid on prices. 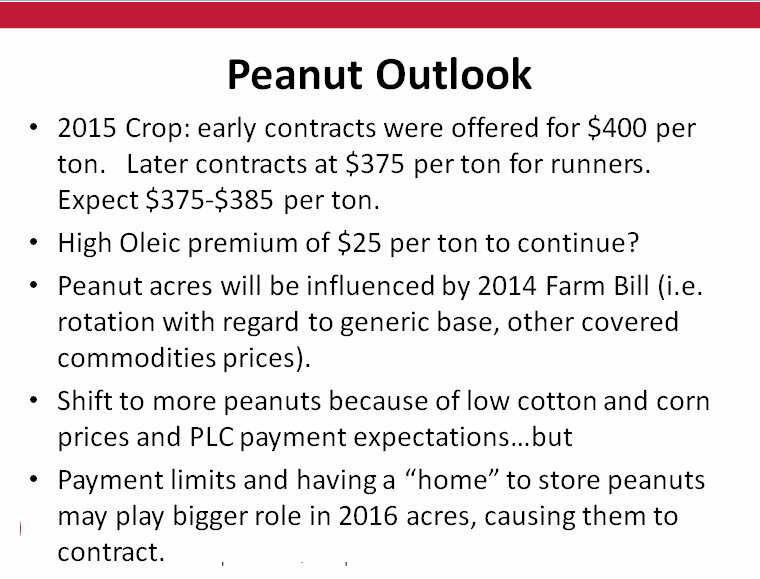 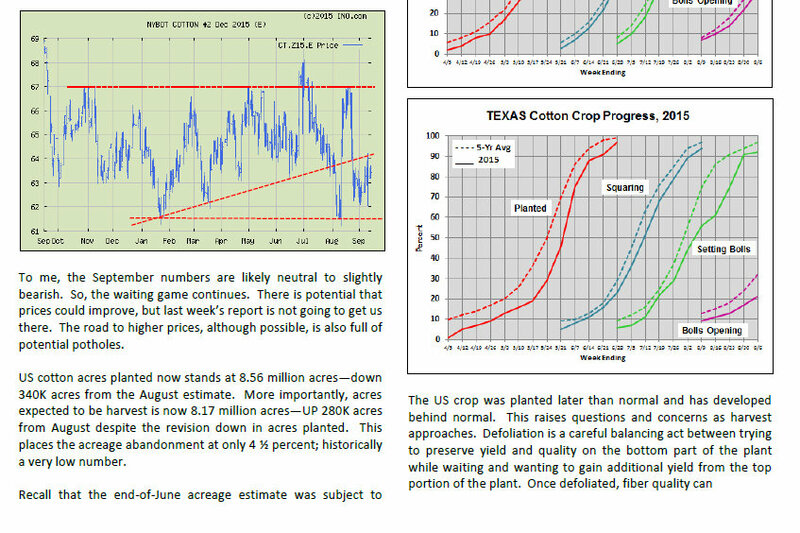 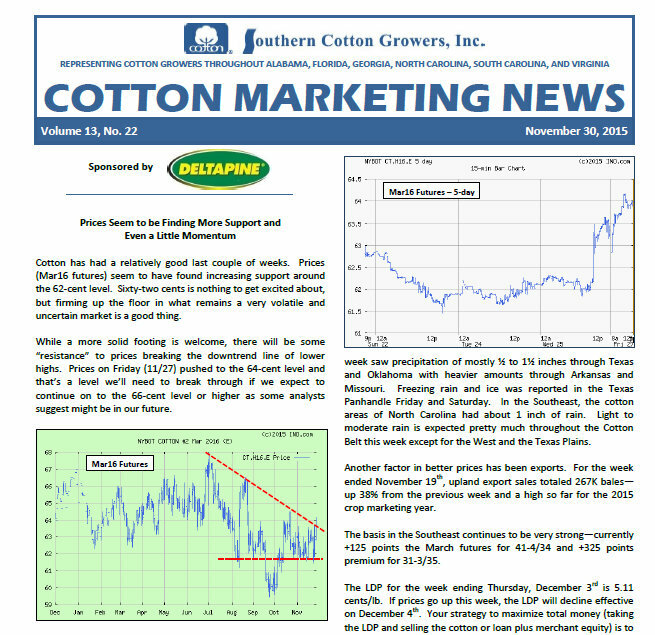 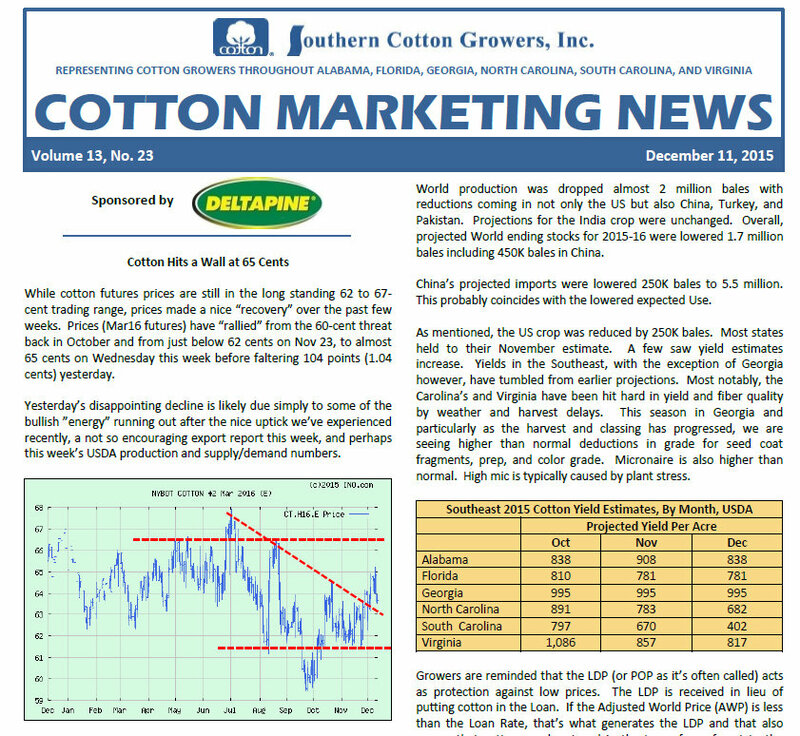 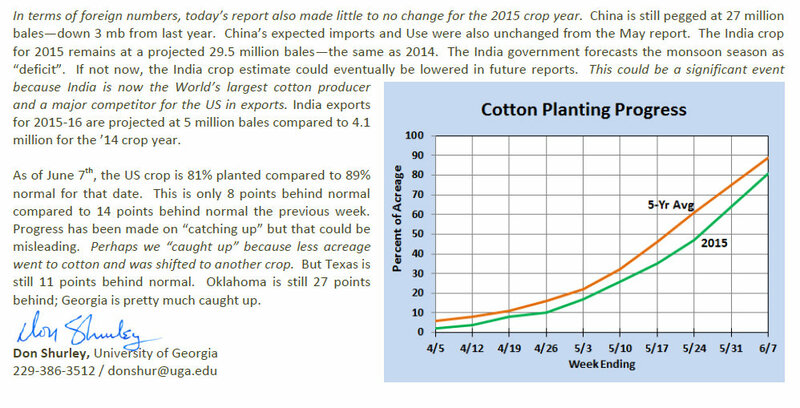 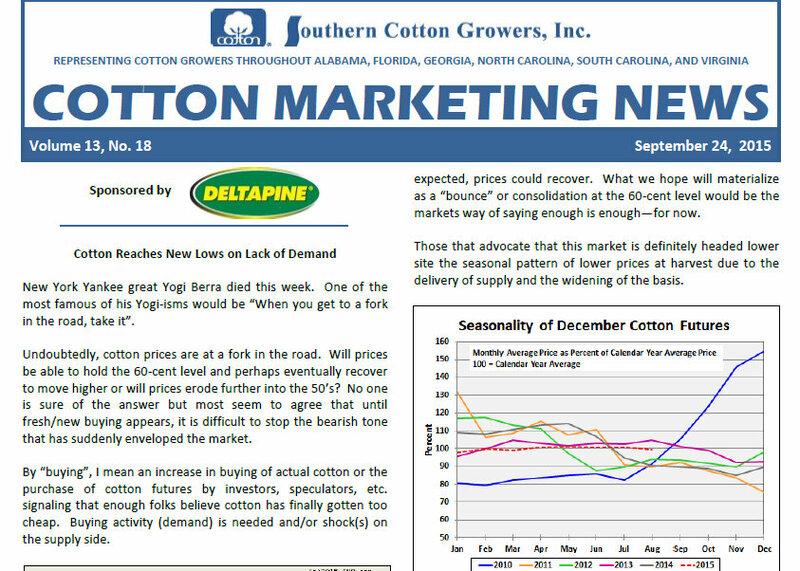 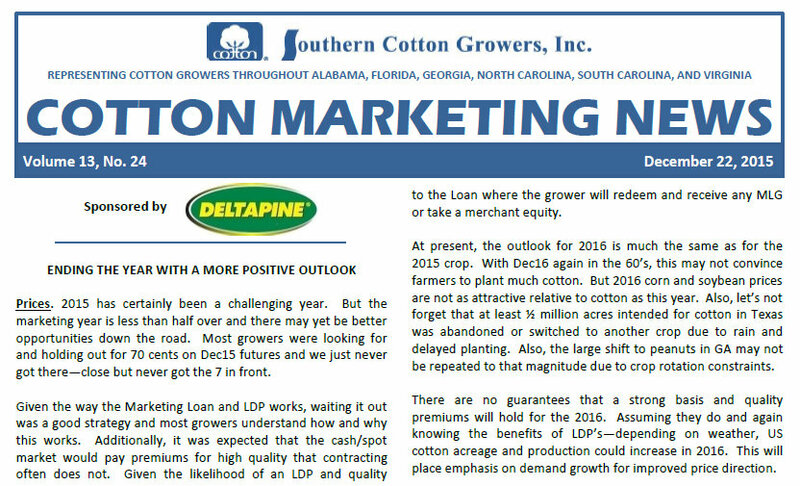 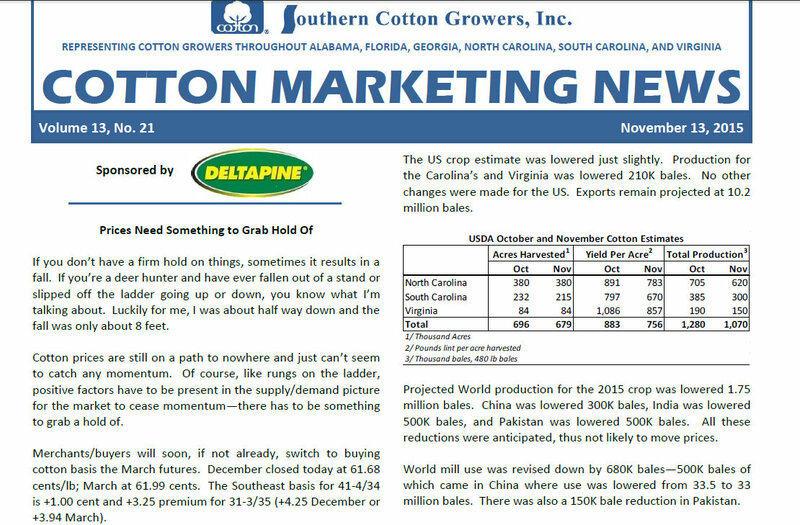 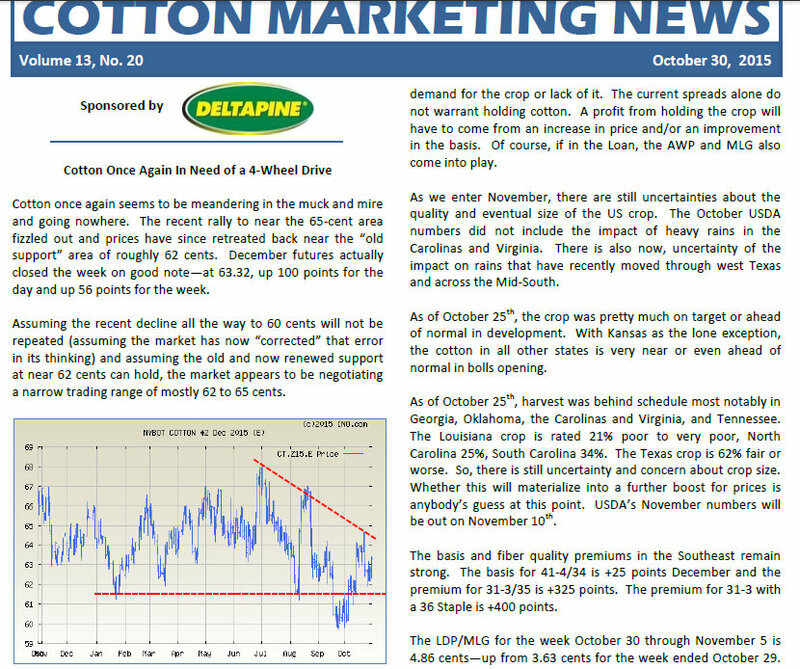 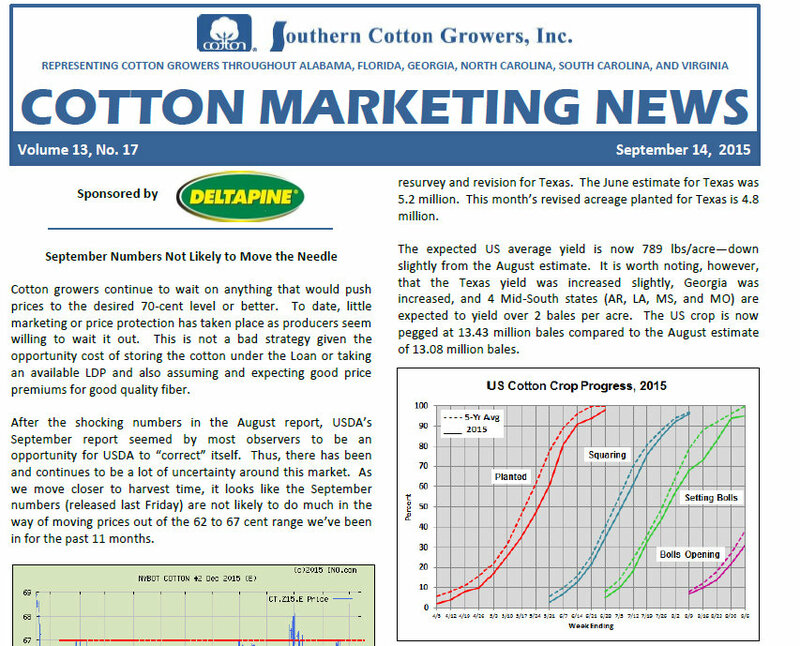 Low corn and cotton price will influence some growers to move to more peanuts. 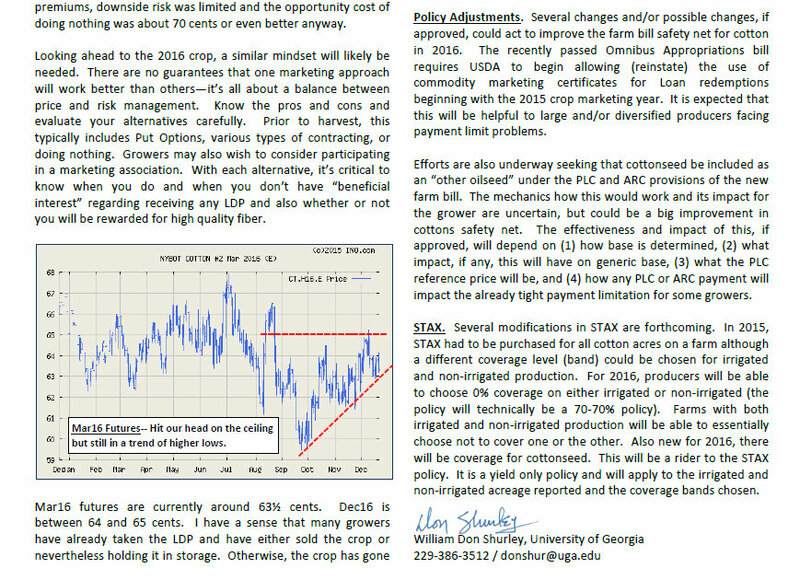 Georgia and US acreage likely to increase due to generic base and PLC reference price of $535 per ton.